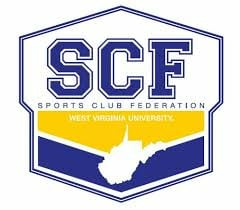 Sports Club Federation has raised $ 260 from 4 gifts! The club sports program at WVU provides an opportunity for students, faculty, staff, alumni and other members of the University community to shape their own recreational experience through competitive/instructional sports. This program will enhance the collegiate experience by allowing those who participate to develop skills and knowledge of a particular sport, build character, display sportsmanship, foster diversity, and develop leadership skills for future pursuits and a lifetime appreciation for physical activity. There are currently over 50 club sports administered by the WVU Campus Recreation Department. Each club is comprised of enthusiastic, hardworking and dedicated student-athletes who organize, fund and promote their clubs with the ultimate goal of competing with colleges and universities on both a regional and national level. Club sports are also involved in a variety of community service projects throughout the year. Each club is formed, developed, governed and administered by student members of in conjunction with the Intramural/Club Sports Manager. Each club also has an adviser, who can be a faculty/staff member or a member of the community, to provide guidance. The key to the success of this program is student leadership, interest, involvement, and participation.